Hello and good morning guys, welcome back to my website. Today I want to share with you a topic about new heroes in Dota 2 game. 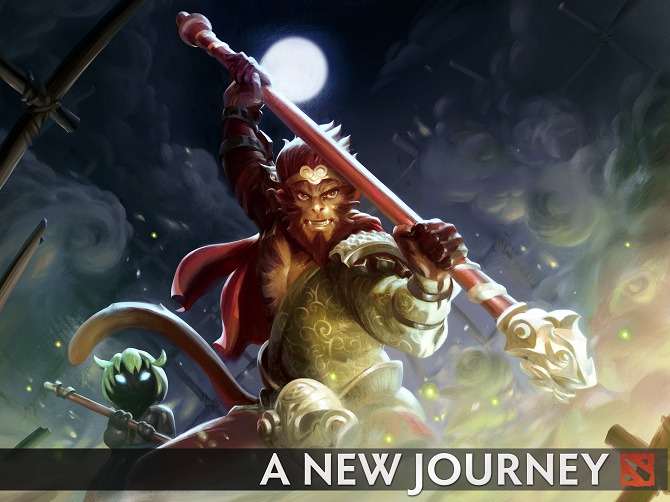 Yeah, its Sun Wukong The Monkey King. Well, do you ever heard a story about this hero before? If you think this hero is copied from the story Journey To The West, yes, you are definitely right. However, before we talk further about him and all his might, we need to know him further right? Well, that’s why I will invite you to discuss everything about him today. Well, if you have seen the movie about The Journey To The West which tells the story about Sun Wukong who accompany a monk to take The Holy Sutra and fight so many evil along the way. you must be thinking this monkey character is copied from that story, right? Well, maybe all I can say is your assumption is 100% right. However, Valve also changes a few little thing in his story so The King can also join in the battle of ancient that already take a place for more than centuries. Even though equipped with a deadly passive skill called Jingu Mastery, there are so many people that still use wrong Wukong build. Yeah, they are too depending on their passive skill. However, you can’t always count that skills you know? There will be a time when you enemies are thousand times more professional than you. That’s why today I will also give you some tips when you are playing this hero whether it in a Public game or Ranked game. As I promised before, I will try to give you some Wukong guide to you. I will also try to make your skills better than before so you won’t be a burden for your team anymore. Well, to play Sun Wukong all you need to remember is don’t be greedy. Because Wukong is very squeezy in the early game. Well, even if he have a proper item, Wukong still can’t stand against multiple people. That’s why I will suggest you to rush to make a life steal item like Satanic or maybe Vladimir, you also can make Abyssal Blade because that item offers you great block damage and Bash passive skills that will also become a great help for your Jingu Mastery skill. You also can consider making Desolator and Echo Saber if you play in “Carry” role. Well, I think this hero is very flexible as long as you can see the situation and save yourself before your team gets beaten. 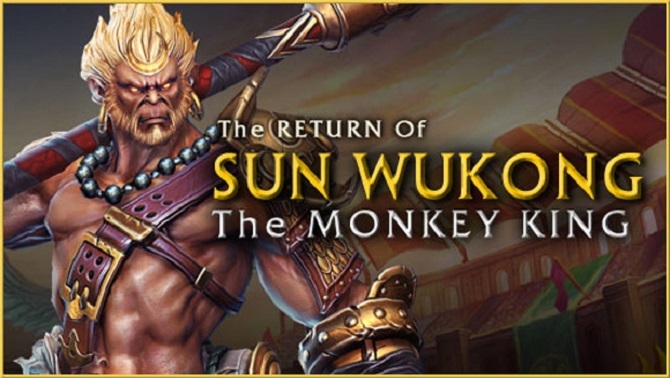 So, what will you do if you play as the Sun Wukong The Monkey King in the game? Will you act as support? Carry? Initiator? Or maybe a Roamer? Well, everything really depends on your play style. Thanks for reading my article today. I hope my guide today can help you to understand Wukong even more. Well, if you think this article is good enough, please share it with the other Dota 2 player. Thanks once again for coming, see you soon in my next article. I hope you have a nice day guys.